Goonhilly Earth Station wants to be at the centre of the country’s space industry. Goonhilly Earth Station wants to be at the centre of the country’s space industry, and it has a plan on making that happen. The company just launched its roadmap which explains just how it plans on becoming the UK’s space industry pivot. 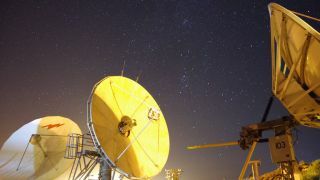 The plan follows a £24 million injection from billionaire Peter Hargreaves in May, which means Goonhilly can install new deep space antennas which will allow it to have the first private deep space communication network. This network will support commercial flights to the Moon, and scientific missions to Mars. Then, there are infrastructure projects and facilities in the US and Australia. There are also plans on constructing a modern, green data centre in the UK, ‘featuring unparalleled connectivity’, as well as the opening of a research and development facility.